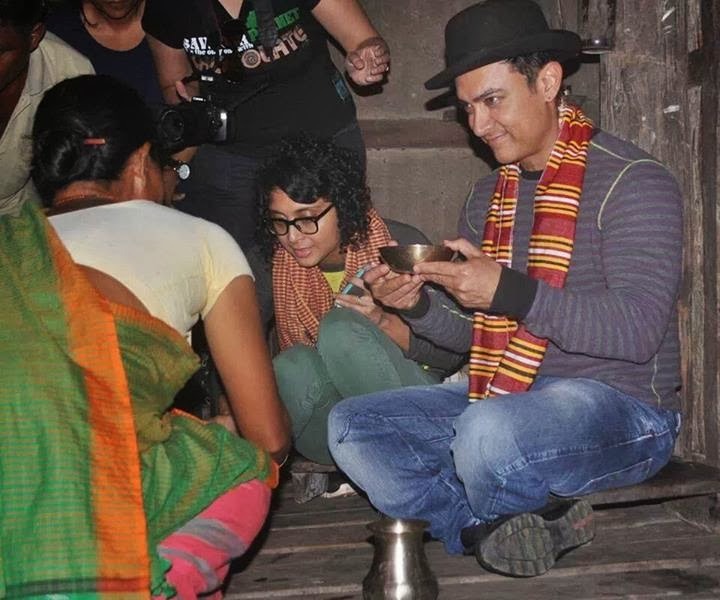 Bollywood actor Aamir Khan and his entourage, which includes directors Karan Johar and Ayan Mukherji gave a surprise visit to the tea plantation town of Tezpur in Assam on Wednesday. According to DNA source, the 3 Idiots celeb is reported to be holidaying in a private resort inside Nameri National Park in Sonitpur district, near Tezpur with his family and close friends to celebrate his wife Kiran Rao’s 40th birthday on November 7. Aamir, who is on a five days Assam trip to visit different tourist destinations including the Kaziranga National Park, was also spotted playing with his toddler son Azad in the grounds of the resort today. Khan and his entourage earlier today visited a Balipara Mising village in Sonitpur district, where they were treated with the traditional rice beer called Apong of Mising tribe.